WHEN chief executive officers and other senior executives in all industries and countries are asked to list the most important skills a manager must possess, the answer consistently includes “good communication skills”. Old studies of how much time managers spent on various activities showed that communication occupied 70 to 90 per cent of their time every day. With the proliferation of social media, cellphones, e-mail and text messaging, those studies would yield even higher percentages if they were done today. The sheer amount of time that managers spend on communicating underscores how important strong communication skills can be for the manager desiring to advance to leadership positions. Thus, mastering leadership communication should be a priority for managers wanting their organisations or the broader business community to consider them leaders. Effective communication is an essential element of leadership. Leaders are communication champions who inspire and unite people around a common sense of purpose and identity. They lead strategic conversations that get people talking across boundaries about the vision, key strategic themes and the values that can help the group or organisation achieve desired outcomes. Leadership means communicating with others so they are influenced and motivated to perform actions that further common goals and lead toward desired outcomes. Communication is the process by which information and understanding are transferred between a sender and a receiver. Two common elements in every communication situation are the sender (anyone who wishes to communicate) and the receiver (the person to whom the message is sent). The sender initiates a communication by encoding a thought or idea. The message is the tangible formulation of the thought or idea, and the channel is the medium by which the message is sent. The channel could be a report, telephone call or an e-mail message. The receiver decodes the symbols to interpret the meaning of the message. Encoding and decoding are potential sources for communication errors because individual differences, depth of knowledge, values, attitudes and backgrounds act as filters and may create “noise” when translating symbols to meaning. Feedback occurs when a receiver responds to the sender’s communication with a return message. Feedback is a powerful aid to communication because it enables the sender to determine whether the receiver correctly interpreted the message. Open communication means sharing information throughout the company, especially across functional and hierarchical levels. This runs counter to the traditional flow of selective information downwards from supervisors to subordinates. People need a clear direction and an understanding of how they can contribute. Open communication is essential for building trust and it paves the way for more opportunities to communicate with followers, thus enabling the organisation to benefit from of the minds of all its employees. Listening well is an essential component of good leadership. A leader can become a more effective listener by learning the skills of active listening. Working relationships become more solid, based on trust, respect and honesty. Active listening is not an optional component of leadership; it is not a nicety to be used to make others feel good. It is, in fact, a critical component of the tasks facing today’s leaders. Leaders who are active listeners can discern undercurrents that need to be managed before a situation gets out of hand. It is through listening and discernment, both with followers and customers, that leaders identify strategic issues and build productive relationships that help the organisation succeed. Discernment involves detecting the unarticulated messages hidden below the surface of spoken interaction, complaints, behaviour and actions. A discerning leader pays attention to patterns and relationships underlying the organisation and those it serves. Dialogue is active sharing and listening in which people explore common ground and grow to understand each other and share a worldview. There is a distinction between a dialogue and a discussion. A discussion explores opposition by individuals who advocate their positions and convince others to adopt those positions. A dialogue requires that participants suspend their attachments to a particular point of view so that a deeper level of listening, synthesis and meaning can emerge. Leader communication is purpose-directed, and an important element is persuading others to act in ways that achieve goals and accomplish a vision. Four steps for practising the art of persuasion are to establish credibility, build goals on common ground, make your position compelling, and connect with others on an emotional level. 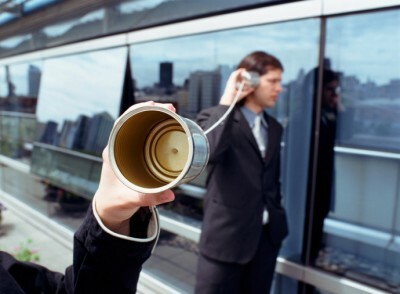 Communication is the effective leader’s primary and most important tool. There is no substitute for good judgment, and change leaders need to be reflective and thoughtful about the ways they communicate. There is also no substitute for “active listening” and receiving feedback from staff and colleagues about how the leader communicates. A leader may make communication mistakes, but the mark of an effective change leader is that these mistakes are quickly identified through feedback and discussion, and corrective action is taken.